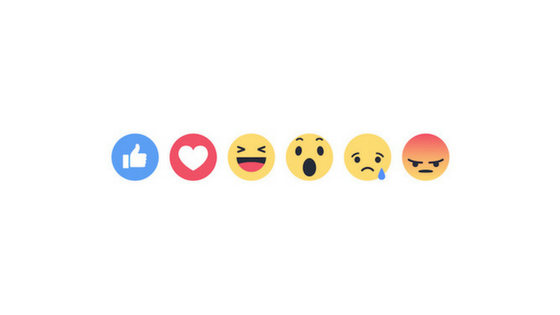 How do Facebook Comment Reactions affect your page? Have you noticed how you can now react to a comment that’s been left in Facebook? How does that affect your page and your ability to grow your reach organically in particular? This post tries to shed some light on the change and what you need to know if you use Facebook pages for your business. The first thing to remind you is that very few people actually know how the Facebook algorithm operates. There are many articles available that will try and shed some light on the subject, but with over 100,000 elements, it’s really quite impossible for you and I to understand it enough to beat it. Besides, who would even have the time to do that?! What we do know, however, is that Facebook want to deliver the best, most relevant, content to its users and so it uses its newsfeed algorithm to determine what a user is most likely to engage with, and what exciting content may be a match. As a content creator, you need to ensure your posts on your page are as engaging as possible; the way to tell Facebook that they are is to get responses to your posts – comments, reactions and shares. ‘Tell us something we don’t know’, I hear you cry. OK, here’s the thing: we already know that a Love has greater currency than a Like. Think about it: if someone indicates they LOVE your content, that’s more powerful than a rather meh-like thumbs up. If you create content that people love, guess what the Facebook algorithm thinks. So, what has this to do with reactions in comments and what can you do with this information? Well, I don’t know if the algorithm takes into account any reactions that the page admins give, but let’s assume for a moment that it does not, and that it simply is looking for the reactions a post is getting including, now, all the reactions to the comments from the readers of that post. Page admins should start LOVING any comments that they receive on their posts to try and promote the engagement levels on their content. You could call this playing the system, but it’s certainly worth trying this to see whether this has any impact on your reach metrics. We’d love to know whether this works for you or not. Please send us your info via the comments below, email or our social channels. If you need help with your social media strategy, we can help!